Do you know the story behind the makeup you applied to your face today? According to People for the Ethical Treatment of Animals (PETA), cruel tests are forced on millions of animals every year in the cosmetic industry. PETA says hundreds of thousands of those animals die as a result. The organization is urging concerned consumers to stop using cosmetic brands that test on animals and push for the Canadian Parliament to end cruelty towards those animals. Animal testing has been around for centuries and Canada is one of many countries that has not passed laws to permanently end the practice. Every day, animals are stripped from their natural environments and placed in a lab. There, they can be forced to inhale toxic fumes, have holes drilled in their skulls, and be immobilized in restraint devices. Animal testing – which some clearly believe is a barbaric practice – has been around for hundreds of years. The group Animal Justice says mutilations have occurred in the name of research, science – and even curiosity. By the 1840s, animal testing had become routine. Scientists of that era would use domestic pets or wild animals to aid in cosmetic and medical research, according to Animal Justice. Now, however, organizations such as PETA ensure the issue is on the public radar. Yet while more people are aware of animal testing, it continues to grow. The Drug and Food Act in Canada was revised in 1985. And while it covers cosmetic regulations such as packaging and labelling – it does not include legislation to protect animals from testing. Many companies continue animal testing because countries have regulations that require it to be done to ensure the product is safe for humans. Canada’s regulations neither ban it nor force it. “We must recognize that animals are not tools or inanimate objects. They have families and feelings and needs,” said Amanda Nordstorm, company liaison for PETA’s Beauty Without Bunnies program. Many consumers still remain clueless about what how their favourite makeup brands make it to the shelf. A simple search of the products you use could change the life of an innocent animal. Even though a product might have labels that show “tested without animals” or even “cruelty free” that doesn’t necessarily mean that every ingredient used to make the final product has not been tested on animals. So whenever you’re buying a cosmetic product, a simple search of every ingredient used could help retailers see the effects of animal testing. 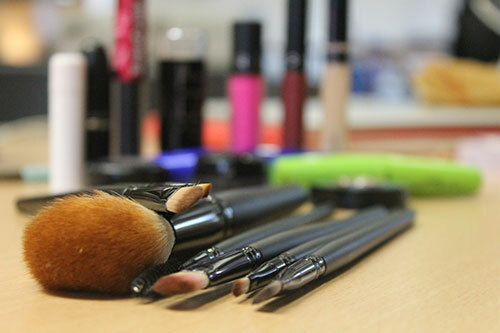 PETA does has a site that can be used to research any cosmetic product in your makeup bag. Some companies choose to continue animal testing because it can be a cheaper route to obtain product sales in more global markets. “Through habit or ignorance, some unscrupulous companies still choose to subject animals to misery in cruel product tests in countries that have not yet banned tests on animals for cosmetics,” said Nordstorm. Nielsen recently conducted a survey on the use of cruelty-free and natural products. Just over half of respondents said “all natural” is very or moderately important to them, and 46 per cent said they are willing to pay more for all natural products. 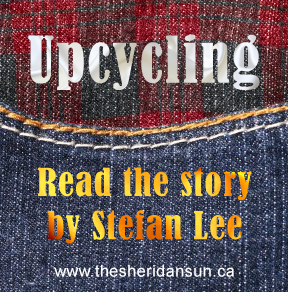 “I am strongly opposed to the cosmetic industry and any other industry testing on animals,” said Jess Peters, a Visual Merchandising student at Sheridan College. Instead of using animals there are many different alternatives. “Cutting-edge non-animal research methods are available and have been shown time and again to be more accurate than crude animal experiments,” says Price. There is also advanced computer-modelling techniques and studies that can use human volunteers. Human volunteers provide skin patch tests so scientists can replace animal-based skin irritation studies. Choices that consumers make do matter – even if that may not be immediately evident. “Change takes time,” said White. Does a cosmetic brand testing on animals impact your purchase? Added by courtneyblok on November 17, 2015.